Learn how to ensure that your organisation's cyber security is kept secure. A career as a Cisco Security Analyst can be both rewarding and challenging. This training course is designed to ensure that you start off on the right track. 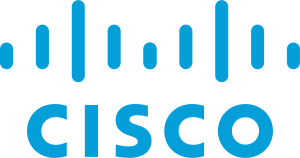 The Cisco 210-260 IINS: Implementing Cisco Network Security training course emphasises core security technologies, confidentiality and availability of data and devices and competency in the technologies that Cisco utilises in its security structure. This training course is designed enable you to demonstrate the skills required to develop a security infrastructure, recognise threats and vulnerabilities to networks and mitigate security threats and risks. The Cisco 210-260 IINS: Implementing Cisco Network Security training course is ideal for those who wish to demonstrate their associate-level knowledge and skills required to secure Cisco networks. It is also valuable for those who are looking to gain certifications that will validate their existing IT experience.